1. 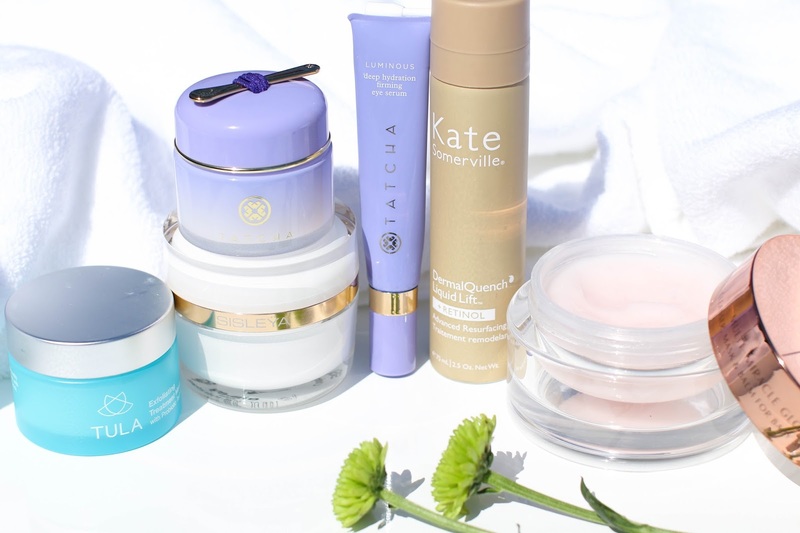 Tatcha Luminous Overnight Memory Serum Concentrate - I have used the Tatcha Luminous Dewy Skin Mist for years and was thrilled to find this overnight concentrate helped give me that serious boost of hydration like the mist. The serum is a fun texture - a bit wobbly and bouncy, but absorbs into my skin immediately after applying. I prefer to use it in the evening, and apply a night cream over top or on some nights will make this my final step. By morning I find that my skin feels firmer and any makeup I apply glides on much smoother. 2. Tula Exfoliating Treatment Mask - I love exfoliating, and I love masks so putting the two into one is perfect for me! While many exfoliating masks make my skin feel softer, they can also leave it feeling tight and dry afterwards. This Tula mask manages to give me glowing and radiant skin while still making it feel hydrated and comfortable. 3. Charlotte Tilbury Multi-Miracle Glow Cleanser - I use this as a second cleanse, removing any final traces of makeup. I like to massage it in for 60-90 seconds and find that it makes my skin feel so supple afterward. In the colder months, I leave it on for 5-10 minutes as a treatment mask and then remove with a warm cloth. After I rinse it off, I can't stop touching my skin because it feels so soft! 4. Sisley L'Integral Anti-Age Cream - This cream is decadent and rich so I only need a small amount in the evening, but I love how my skin has reacted to this. I only began using it about 4-6 weeks ago, and can already see a difference in how supple and even toned my skin looks. I prefer to use it in the evening as my final step, warming the product up in my hands and then pressing into the skin. This layered over the Tatcha Memory Serum Concentrate has been my favorite combination right now. 5. 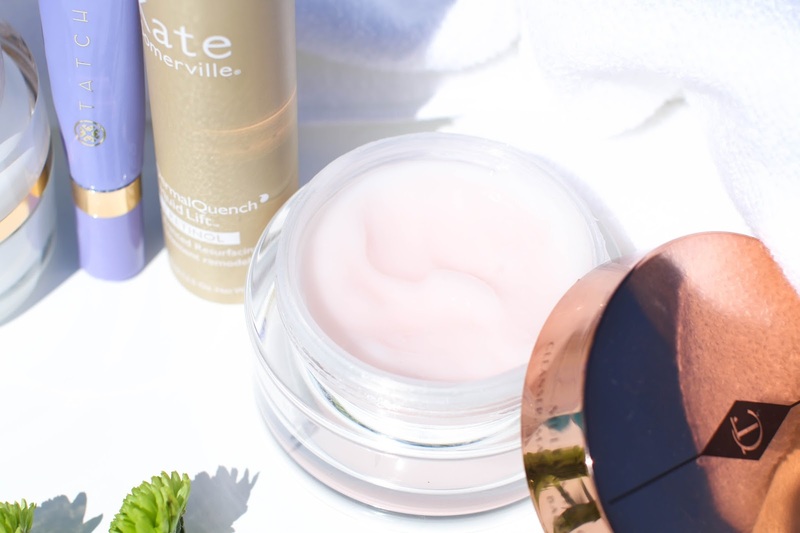 Kate Somerville DermalQuench Liquid Lift with Retinol - Maree told me this was a unique product and she was definitely right! It comes out as a cool foam and then breaks down to a liquid. I wasn't sure I would like it at first, but Maree was raving about it for herself so I was intrigued to try it as well. I began using it in the morning under my moisturizer (currently loving this one), and it made my skin look so smooth and my pores appeared minimized after only a week of using. 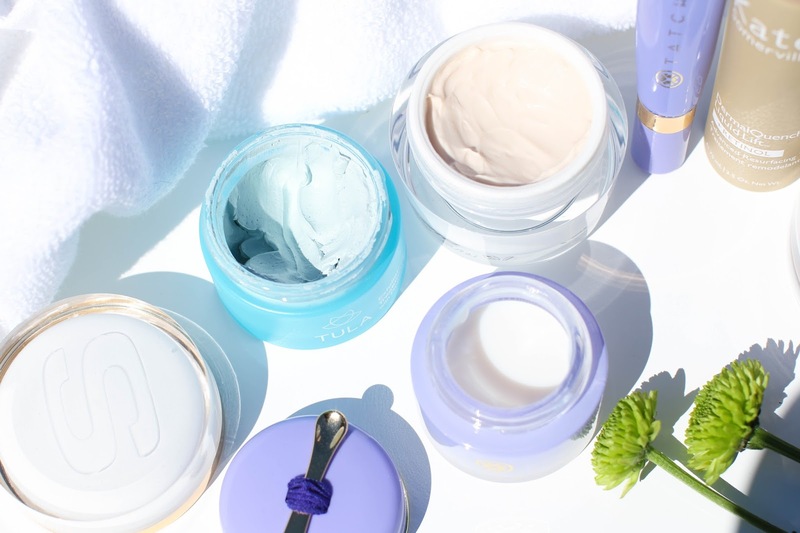 Because I loved the results so much, I began adding it into my nighttime routine as well and that's when I noticed that a few dark spots I had were beginning to fade. Since it is a booster, I can use this before my serum and moisturizer and it doesn't feel heavy on the skin. Though I was skeptical at first, this product turned out to be one of my favorites recently! 6. 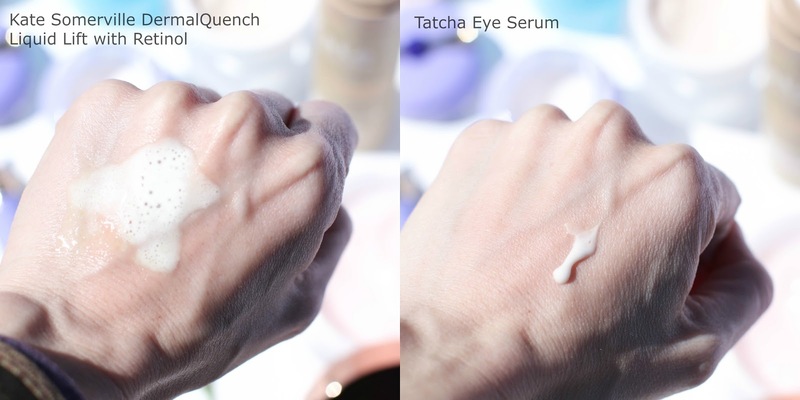 Tatcha Luminous Deep Hydration Firming Eye Serum - Applying this serum with the cooling applicator gives me such a wonderful wake-up in the morning. I had developed milia under my eyes from another eye cream, and after using this serum twice a day for a few weeks - the milia had disappeared!